On Monday 18 February, the next permanent representative of Italy to NATO Ambassador Francesco Maria Talò visited NRDC-ITA. Ambassador Francesco Maria Talò, visited the NATO Rapid Deployable Corps - Italy (NRDC-ITA) at “Ugo Mara” barracks in Solbiate Olona. 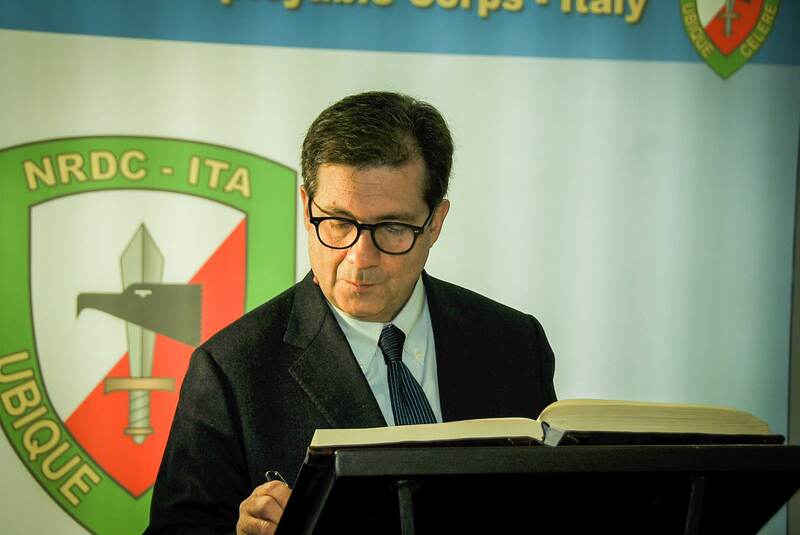 Currently the coordinator for cyber-security at the Italian Ministry of Foreign Affairs and International Cooperation, the Ambassador will be the next permanent representative of Italy to NATO. The diplomat, a former Ambassador of Italy to the State of Israel, will succeed Ambassador Claudio Bisogniero later this year. After being welcomed by the Commander, Lieutenant General Roberto Perretti, the Ambassador attended briefings that presented the tasks, structure and capabilities of NRDC-ITA. The staff illustrated the HQ’s flexibility in covering the roles of a Corps, a Land Component Command and a Joint Task Force HQ. These three configurations allow NRDC-ITA to lead a high-intensity operation under NATO, the European Union, or within a bespoke coalition. Furthermore, another important issue discussed during the briefing was the NRDC-ITA ability to conduct threat analysis and situation monitoring of areas of instability, such as of crisis hotspots on the Alliance’s southern border. 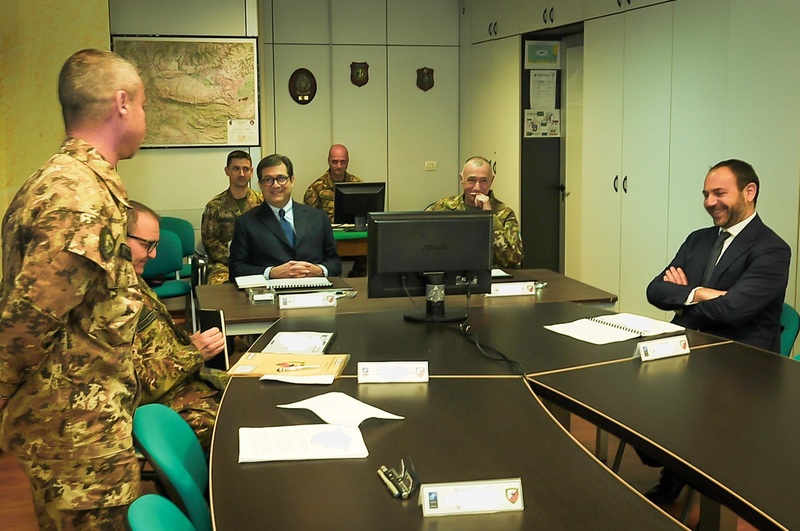 The visit continued with an update on the current level of operational readiness at NRDC-ITA, which only recently handed over the role of Land Component Command of the NATO Response Force. This role allowed the HQ to reaffirm itself as an organisation ready, willing and able to support the Alliance in its three "core tasks": collective defense, crisis management and cooperative security.